For those of you fond of a bit of spice in your life, I’ll let you into a little secret .. It’s Curry Week this week and if you love a curry but don’t know where to find one let me point you in the direction of Brick Lane in East London. Brick Lane is home to some of the best curry houses outside of India and is a real must for any foodie. Curry – you’ll be surprised to hear is not the main focus of this blog but it does lead me nicely to an interesting exhibition at an interesting space, and being Estate Agents in W1 we love all things interesting, especially when it comes to spaces and buildings! 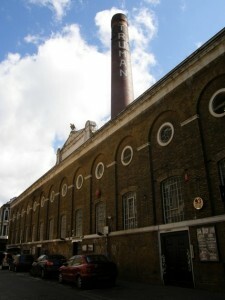 The Truman Brewery is the interesting space part. It’s East London’s premier hub for all things creative – including galleries, markets, independent shops and restaurants. It started life as a brewery (obviously) in 1666 when Brick Lane was flanked by fields, and was set up by brewer Joseph Truman. It’s had its rise, it’s had its fall and more recently it’s had its renewal. The rise lasted over 250 years based on the success of the beers, pubs and it’s community spirit. It closed in 1989 but was reborn in 2010 when 2 beer enthusiasts gave it a new lease of life based on the principles it was founded on – great beers and pub culture. The interesting exhibition part is The Other Art Fair and it’s happening here until Sunday 18th, which gives yet another excuse to head to Brick Lane. As well as guest artists, there will be immersive theatre, live music and an all-important G&T bar. So you’re sorted for food, history and culture this weekend – don’t mention it! Previous PostDiary Of A First Time BuyerNext PostFriday’s Fitzrovia Facts!